Reduce your personal fossil fuel consumption (oil, coal, gas) every way you can. Eliminate all non-essential activities and products that involve the burning of fossil fuels. Demand that business and government provide transport, activities and products without or minimal fossil fuel use. The moon has no atmosphere so it is scorching hot (+100C) during the day and bitterly cold (-150C) at night. The Earth has an atmosphere made up of oxygen, nitrogen, carbon dioxide (CO2) and other gases. Over 150 years ago scientists proved that CO2 traps heat from the sun. We also know without any doubt that burning fossil fuels like oil, gas and coal emits CO2. Measurements, not computer models or theories, measurements show that there is now 46% more CO2 in the atmosphere than 150 years ago before massive use of fossil fuels. 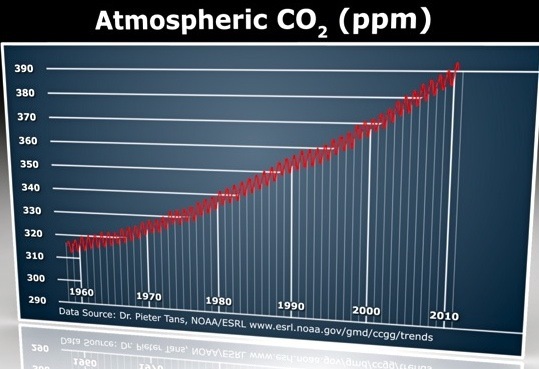 That extra CO2 is like putting another blanket on at night even though you are already nice and warm. The Carbon Law says human carbon dioxide (CO2) emissions must be reduced by half each decade starting in 2020. By following this “law” humanity can achieve net-zero CO2 emissions by mid-century to protect the global climate for current and future generations. A “carbon law” is a new concept unveiled March 23 in the journal Science. It is part of a decarbonization roadmap that shows how the global economy can rapidly reduce carbon emissions, said co-author Owen Gaffney of the Stockholm Resilience Centre, one of international team of climate experts. To keep the global temperature rise to well below 2°C, emissions from burning fossil fuels (oil, gas and coal) must peak by 2020 at the latest and fall to around zero by 2050. This is what the world’s nations agreed to at the UN’s Paris Agreement in 2015. Global temperatures have already increased 1.1 degrees C.
“After the Paris agreement we began to work on a science-based roadmap to stay well below 2C,” Gaffney told IPS. The “carbon law” is modelled on Moore’s Law, a prediction that computer processing power doubles every 24 months. Like Moore’s, the carbon law isn’t a scientific or legal law but a projection of what could happen. Gordon Moore’s 1965 prediction ended up becoming the tech industry’s biannual goal. A “carbon law” approach ensures that the greatest efforts to reduce emissions happen sooner not later, which reduces the risk of blowing the remaining global carbon budget, Gaffney said. This means global CO2 emissions must peak by 2020 and then be cut in half by 2030. Emissions in 2016 were 38 billion tonnes (Gt), about the same as the previous two years. 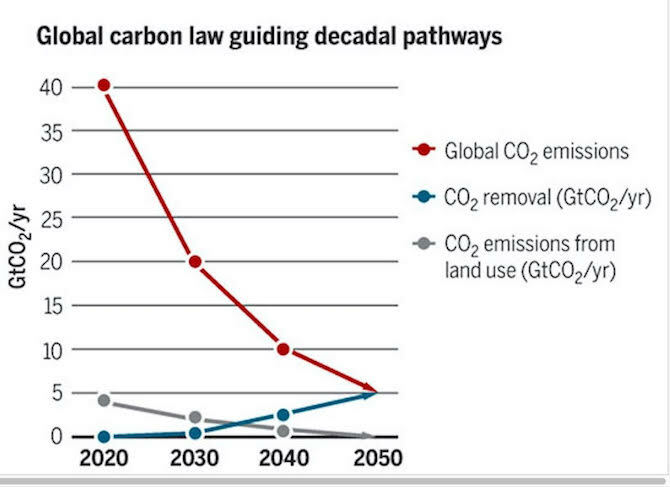 If emissions peak at 40 Gt by 2020, they need to fall to 20 Gt by 2030 under the carbon law. And then halve again in 2040 and 2050. “Global emissions have stalled the last three years, but it’s too soon to say if they have peaked due largely to China’s incredible efforts,” he said. The Science paper, “A roadmap for rapid decarbonization”, notes that China’s coal use swung from a 3.7 percent increase in 2013 to a 3.7 percent decline in 2015. Although not noted in the paper, China’s wind energy capacity went from 400 megawatts (Mw) in 2004 to an astonishing 145,000 Mw in 2016. “In the last decade, the share of renewables in the energy sector has doubled every 5.5 years. If doubling continues at this pace fossil fuels will exit the energy sector well before 2050,” says lead author Johan Rockström, director of the Stockholm Resilience Centre. The authors pinpoint the end of coal in 2030-2035 and oil between 2040-2045 according to their “carbon law”. They propose that to remain on this trajectory, all sectors of the economy need decadal carbon roadmaps that follow this rule of thumb. “We identify concrete steps towards full decarbonization by 2050. Businesses who try to avoid those steps and keep on tiptoeing will miss the next industrial revolution and thereby their best opportunity for a profitable future,” said Hans Joachim Schellnhuber, director of the Potsdam Institute for Climate Impact Research in Germany. Elements of these roadmaps include doubling renewables in the energy sector every 5-7 years, ramping up technologies to remove carbon from the atmosphere, and rapidly reducing emissions from agriculture and deforestation. The immediate must-do “no-brainer” actions to be completed by 2020 include the elimination of an estimated 600 billion dollars in annual subsidies to the fossil fuel industries and a moratorium on investments in coal. Decarbonization plans must be in place for all cities and major corporations in the industrialized world. Rapidly growing economies in India, Indonesia and elsewhere should receive help to take a green path to prosperity. They cannot use coal as China did because CO2 emissions are cumulative and there is little room left in the global carbon budget, said Gaffney. This is an extremely urgent issue. India is already on the brink of taking the dirty carbon path. “Coal power plants under construction and proposed in India alone would account for roughly half of the remaining carbon budget,” said Steven Davis of the University of California, Irvine about his new study that will be published shortly. Davis, who was not involved in the carbon law paper, agrees that rapid decarbonization to near-zero emissions is possible. Cost breakthroughs in electrolysis, batteries, carbon capture, alternative processes for cement and steel manufacture and more will be needed, he told IPS. All of this will require “herculean efforts” from all sectors, including the political realm, where a cost on carbon must soon be in place. Failure to succeed opens the door to decades of climate catastrophe. “Humanity must embark on a decisive transformation towards complete decarbonization. 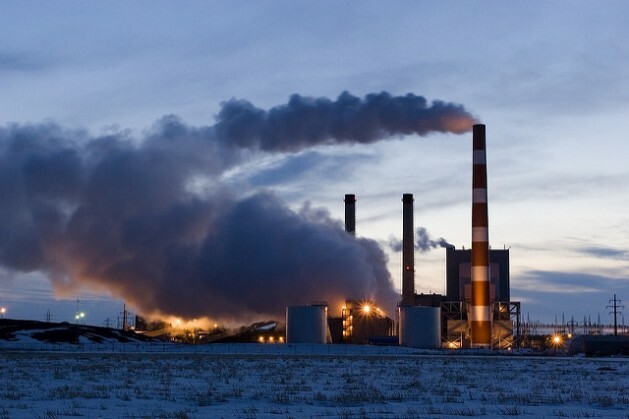 The ‘Carbon law’ is a powerful strategy and roadmap for ramping down emissions to zero,” said Nebojsa Nakicenovic of the International Institute for Applied Systems Analysis (IIASA) in Austria. Gulf states are among the most water-scarce in the world. With few freshwater resources and low rainfall, many countries have turned to desalination (where salt is removed from seawater) for their clean water needs. But Gulf states are heading for “peak salt”: the more they desalinate, the more concentrated wastewater, brine, is pumped back into the sea; and as the Gulf becomes saltier, desalination becomes more expensive. The Middle East is home to 70% of the world’s desalination plants – mostly in Saudi Arabia, the United Arab Emirates, Kuwait, and Bahrain. Tens of billions of dollars, $24.3bn (£18.8bn) in Saudi Arabia alone, are being invested over the next few years to expand desalination capacity. The process is cost and energy intensive; it pumps seawater through special filters or boils it to remove the salts. The resulting brine can be nearly twice as salty as normal Gulf waters, according to John Burt, a biologist at New York University Abu Dhabi. But the 250,000 sq km Gulf is more like a salt-water lake than a sea. It’s shallow, just 35 metres deep on average, and is almost entirely enclosed. The few rivers that feed the Gulf have been dammed or diverted and the region’s hot and dry climate results in high rates of evaporation. Add in a daily dose of around 70m cubic metres of super-salty wastewater from dozens of desalination plants, and it’s not surprising that the water in the Gulf is 25% saltier than normal seawater, says Burt, or that parts are becoming too salty to use. Peak salt, says Günel, mirrors the concept of peak oil, a popular concept in the 1970s used to describe the point in time when the maximum rate of oil extraction had been reached. “Peak salt describes the point at which desalination becomes unfeasible,” she says. And studies have shown that the Gulf will only get saltier in the future. Raed Bashitialshaaer, a water resources engineer at Sweden’s Lund University, says that the growth of desalination plants in the region is happening far faster than his own 2011 study estimated. With groundwater sources either exhausted or non-existent and climate change bringing higher temperatures and less rainfall, Gulf states plan to nearly double the amount of desalination by 2030 (doc). This is bad news for marine life and for the cost of producing drinking water – unless something can be done about the brine. Farid Benyahia, a chemical engineer at Qatar University, believes he has a solution. He recently patented a process that could eliminate the need for brine disposal by nearly 100%. The process uses pure carbon dioxide (emitted during the desalination process by burning fossil fuels for power) and ammonia to turn brine into baking soda and calcium chloride. Whether the process is cost-effective remains to be seen but Benyahia believes it could be, especially if markets are found for large volumes of the end products. Other efforts are also under way to reduce desalination’s country-sized carbon footprint which globally accounts for 76m tonnes of carbon dioxide per year – nearly equivalent to Romania’s emissions in 2014. The Global Clean Water Desalination Alliance was formed in 2015 to tackle this problem by increasing efficiencies and shifting to renewable energy sources, such as solar-powered desalination. Saudi Arabia expects to have a commercial-scale plant operational by 2017 and in California, a proposed solar-powered desalination plant combines innovation, efficiency and design. Water pricing, says Günel, is also becoming critical to improving water efficiency in the Gulf.